This is a few of the projects that I have done for my family. Some of them were a "first time" experience, but I have enjoyed doing each and every one. There will be more to come if I can get off of the computer long enough to get to work, :). 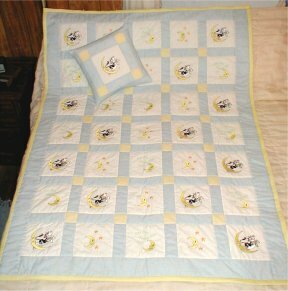 The Cow Jumped Over The Moon quilt and pillow made for my great grand daughter, Kaelyn. 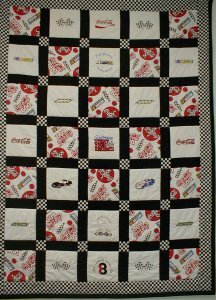 NASCAR/COKE quilt made for my collector son, Jeff. 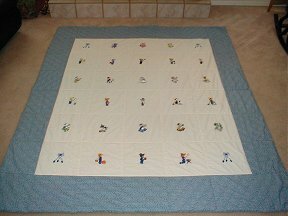 This quilt won the blue ribbon in the county fair this year. 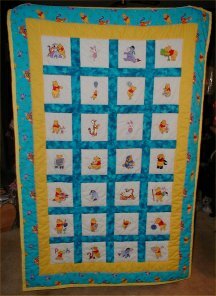 A Pooh Bear quilt made for my grand daughter, Kristen. 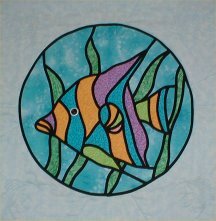 This one won second place in the county fair this year. 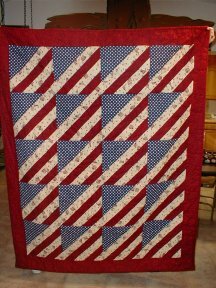 This Old Glory quilt was made for my son Ernie. 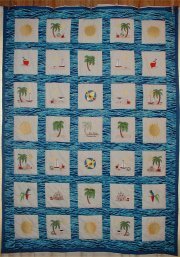 "When Life Gives You Scraps, Make A Quilt"
Page created and maintained by Jewel Lawrence.